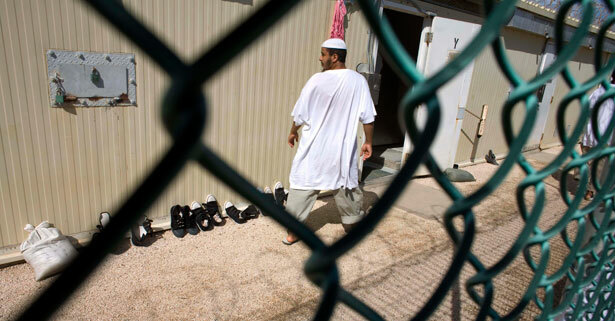 You have stated exactly what must be done: “[W]e’ve got to close Guantánamo…. It is expensive. It is inefficient. It hurts us in terms of our international standing. It lessens cooperation with our allies on counterterrorism efforts. It is a recruitment tool for extremists. It needs to be closed.” We strongly support your commitment to close the Guantánamo prison, and we are encouraged by the news that seven prisoners have been released over the past several months. Mr. President, Congress has passed the legislation you requested easing the former restrictions on transferring detainees to other countries; you now have all the authority you need to close Guantánamo. As Senator Carl Levin stated, the legislation “provides a clear route for the transfer of detainees to third countries.” Many countries have already offered to take them. The legislation also allows the administration, without congressional restrictions, to transfer prisoners by consenting to court orders authorizing their transfer, a clear and simple route for the many who have already been cleared. As you know, half of the prisoners still at Guantánamo—seventy-seven of the 155 there—were cleared for transfer over four years ago by your Joint Task Force, yet they remain at Guantánamo Bay! We ask you to use your existing authority to close Guantánamo. -Patricia A. Bronte, Stowell & Friedman, Ltd. Note from senders: Institutional names are included to identify counsel and not to reflect that the institutions or law firms support the views in this letter. Responses may be made to Thomas P. Sullivan. To contact him, e-mail tsullivan@jenner.com, telephone 312.923.2928 or send mail to Jenner & Block LLP, 353 North Clark Street, Chicago, IL 60654. James ThompsonJames Thompson was the longest serving Governor of Illinois, holding office from 1977-1991. He currently serves as the Senior Chairman of Chicago-based law firm Winston & Strawn. Scott TurowScott Turow is an attorney and writer. He has been a partner in the Chicago office of Dentons, an international firm, since 1986. He is the author of nine bestselling works of fiction, including his newest novel Identical (2013).